The next MBN UK Members’ Meeting takes place on Tuesday 26 June 2018, between 6.30pm – 8.30 at Malta House, Malta High Commission, 36-38 Piccadilly, London W1J 0LE. Our speaker is Liliana Reasor, MBN member and a FinTech / Blockchain entrepreneur, venture capitalist and ex-investment banker. Liliana Reasor was recently on a speaker panel in New York discussing blockchain and new technologies. She will give us her insights on block-chain technology, its usage and application across industries, especially in the light of Malta’s digital strategy and our members interest in this new technology. 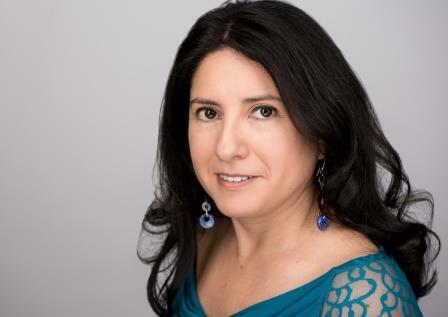 With 20+ years of experience in the FinTech and Finance industries, Liliana is now the the founder and CEO of SupraFin, the first global vetted token platform on the blockchain (www.suprafin.io). She is heavily involved in the FinTech / Blockchain startup ecosystem in Europe and is considered a FinTech / Blockchain thought leader. She is a regular FinTech / Blockchain speaker, panellist, investment judge and working group member at top global FinTech / Blockchain and finance events. She was selected as one of the Top 100 Global FinTech Women Influencers and Leaders in 2015, 2016 and 2017 by Innovate Finance. Prior to becoming an entrepreneur, she worked in the FinTech and investment banking industries (M&A, trading, capital markets, and corporate lending) at JP Morgan, Bank of America, Deutsche Bank, Morgan Stanley, and Moody’s Analytics in the US and UK. Liliana has a M.S. in Computational Finance from Carnegie Mellon and an MBA from UCLA. Please register online to attend – only registered attendees will be allowed into Malta House. Late registrations may not be allowed entry. Please note you will also need to carry a photo ID for security purposes. « Malta Business Network June Special Edition. The Culture of Wine. Growth through diversity: MBN Malta July MeetUp Malta Business Network June Special Edition. The Culture of Wine.